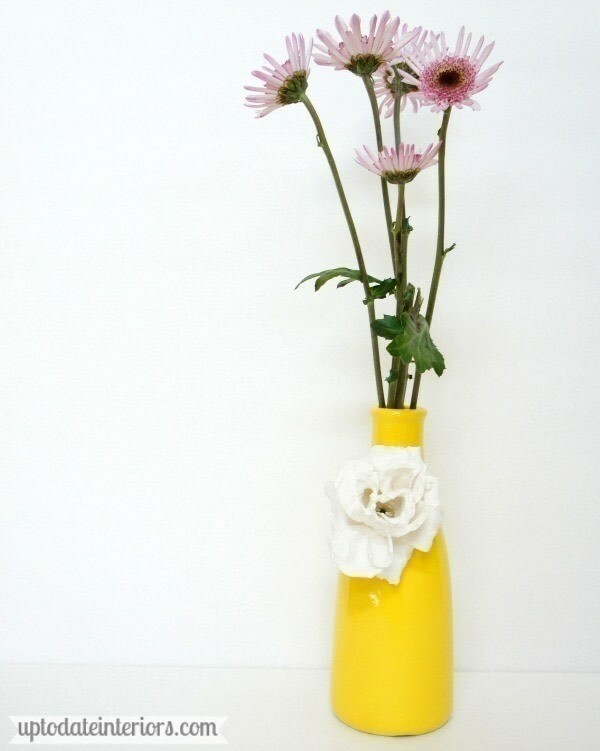 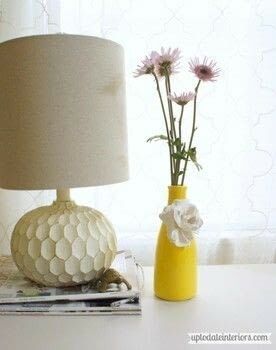 Create this easy Anthropologie inspired Vase just in time for Spring! 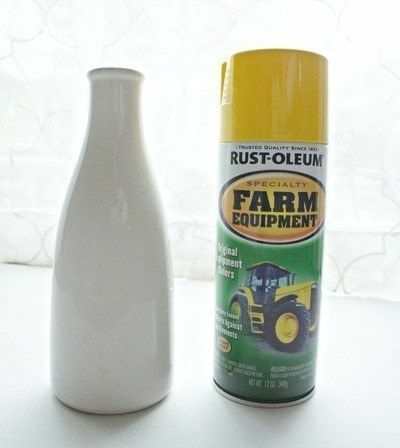 Spray paint the bottle/vase with a few light coats (to prevent drips) letting it dry between coats. 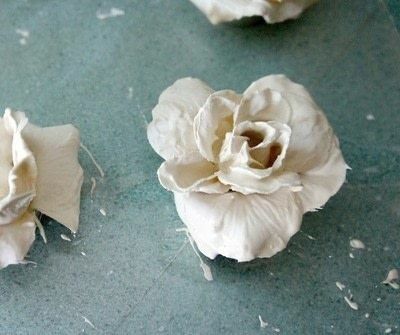 Create a plaster flower by dipping a fake flower into plaster of paris and letting it dry.